Since you’re planning to write a 50, 000 word novel next month–dividing into 1,667 words per day–it’s a good idea to get warmed up by doing some writing exercises over the next few days. A good goal would be to write at least 400-500 words every day until Nanowrimo starts, so you’re already in the writing groove on November first. This warms up your writing muscles without leading to burn out before Nanowrimo begins. Today I’d like to share three exercises designed to help you do just that. These exercises can be done with your Nanowrimo characters or completely different characters. I usually use them to flesh out the characters and world I’ve already started creating for my novel, because I find that you discover many things while writing that you never will in a thousand brainstorms. Often these are crucial details, such as character names and important moments in their history. While these exercises are aimed at both warming up the writing muscles and fleshing out your characters and your world, you can find dozens of more basic prompts both here and on many sites across the web. There are even entire books filled with prompts to help you get going, ranging from picture prompts to detailed scenarios for you to throw your character into. These exercises are my attempt at finding a proper middle ground. 1. Write about a large social gathering in the place where your story is set. This can be from the main character of your novel’s point of view, in third or first person, in the point of view of your villain or whoever you want it to be. The important thing is that you focus on what the occasion is, what people are wearing, how people act and mention any unusual customs. I can’t begin to explain how many times I’ve discovered really important things by writing scenes like this, especially about cultural expectations and traditions. Often the details you need come more easily when you’re just writing, not trying to rip them out of a blank page. 2. Write a scene in which someone dies. You can learn a lot from someone’s death, both in real life and in fiction. In fiction, it can teach you how your characters react to death, what common dangers are in that world and how death is treated in your world. Death scenes can be incredibly powerful, and you can make them as long or as short as you want. For this exercise I’d suggest writing first person in the PoV of one of your Nano characters and making the dying person someone close to them. Of course, you don’t have to do that–the important thing is just to get yourself writing, not what you write. 3. Write something about pets. Everyone loves pets. Nowadays we have micro pigs, cats, all manners of dogs, birds and lizards. In ancient times, pets weren’t usually kept unless they served a purpose, and often weren’t even called pets: dogs for hunting, horses for riding, goats for milk. Where does your world stand on the issue? Are live animals rare and most pets robotic, as in Do Androids Dream of Electric Sheep? Or are your people so poor they can’t keep useless mouths, restricting them to dogs and horses? Or do they sit somewhere in the middle, where anything can be a pet and everyone has one? You can learn a lot about your world by considering what pets they keep–and more about your characters by how they treat their pets. Of course, when doing these exercises you don’t have to use your characters and setting for your Nanovel, but if you’re still trying to flesh out your world and your characters, these exercises will add an extra level of depth to your novel. And for those of you who are just chomping at the bit to get started, writing these back story scenes is a great way to get some writing done and give your characters some loving without cheating and starting your novel early. What is your favourite kind of writing exercise? 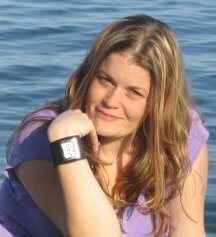 Today’s author is Allison Cosgrove, several time Nanowrimo winner, former word war captain, mother of three, hard worker and recently published author. I’ve already interviewed her here and am currently reading her mystery novel, Sacrifice of Innocence, which I’ll be reviewing sometime in the upcoming months. Today she’s decided to do us all the honour of sharing her realization that none of us are ever truly ready for Nanowrimo. One thing I have come to realize, as a long standing WriMo Veteran, is that in preparing for the wonderful thing that is NaNoWriMo is that we are never truly ready for it. I mean there are things we can prepare. We can plot and outline and make notes for just about everything, pre-cook and freeze meals, but in the end we can not be completely ready for everything. The one and only year I have ever tried to plot out everything it turned out to be all for naught. I honestly had everything set out. I knew EXACTLY where I was going. I was so proud of myself. And then two days before NaNo I was hit by a monster of plot bunny and away I went on a completely different direction and everything I did was pushed to the side until later in the month. That, to me, is the most amazing part about NaNoWriMo. We plan everything out. We get all of our emergency junk food kits ready. We set our coffee pots to constant brew. We make sure our loved ones know that if they don’t hear from us for a month that everything is alright and that we are just knee deep in a whole other world. Then we set out and put pen to paper, fingers to keypads and the world around us disappears. We don’t always end up where we expected to and that’s alright. We may eat more junk food, drink gallons more coffee, sleep less and we may even end up smelling like yesterdays socks. We may not finish at the amount we would like and we may not cross the 50,000 word finish line but that too is alright. Because it is not where we end up that matters most. It is the journey that we take to get there that counts. We will learn and grow so much in 30 days. We will learn to stretch our wings and not worry about where the winds take us. We will take chances and risks we may never have taken with our creativity. We will forge long lasting friendships and find a new place to call our own. Just remember that as you finish off your plot notes, your character sketches and pack your pre-made food for next month. You may not end up exactly where you think you will when you set out in a few days but enjoy the ride none the less. It will be all worth it and besides you can always edit later.